The Port Service Corp. is a ship management company in Yokohama. 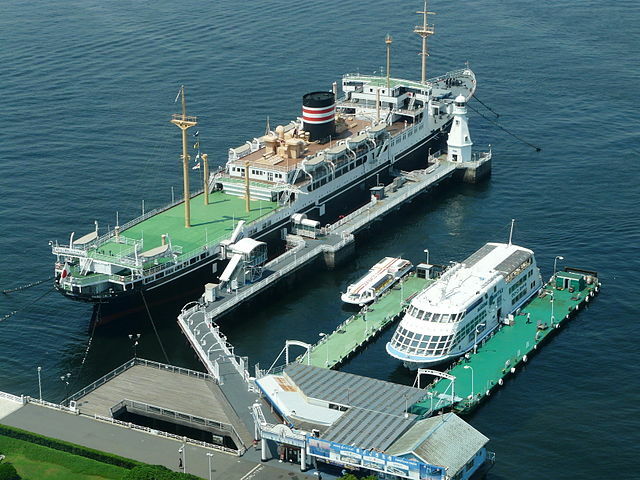 The company operates Sea Buses, an excursion cruise ship, and a restaurant ship, all within the port of Yokohama. The services include public lines as well as chartered ships. The Yokohama Sea Bass is an ocean bus that travels from Yokohama Bay Quarter "about 500 meters from Yokohama Station's East Exit", to Yamashita Park. The ship is named Sea Bass, after the Japanese sea bass a fish native to local rivers and estuaries. The bus’s route travels through Yokohama tourist destinations like Minato Mirai, and the Yokohama Red Brick Warehouse. Boats depart about once every 15 minutes, but only half of them stop at Minato Mirai and Red Bricks Warehouse while the others travel directly to Yamashita Park. 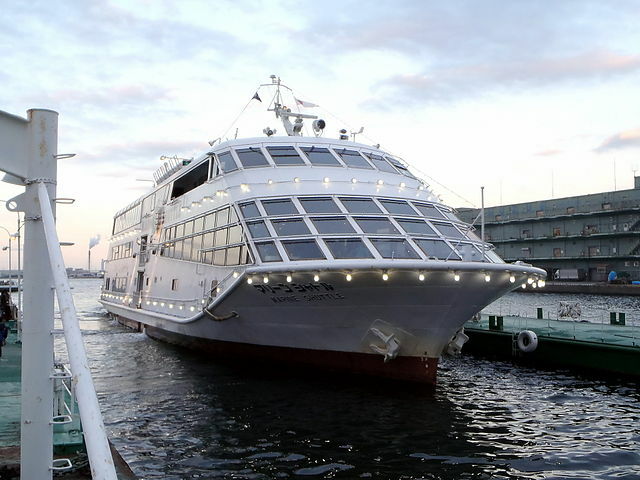 ​Marine Shuttle is an excursion cruise ship, mainly built for the observation tour of the port Yokohama. There are 40 minutes, 60 minutes, and 90 minutes courses. Marine Shuttle has a casual restaurant that offers light meals. The ship is also often used for school excursions. 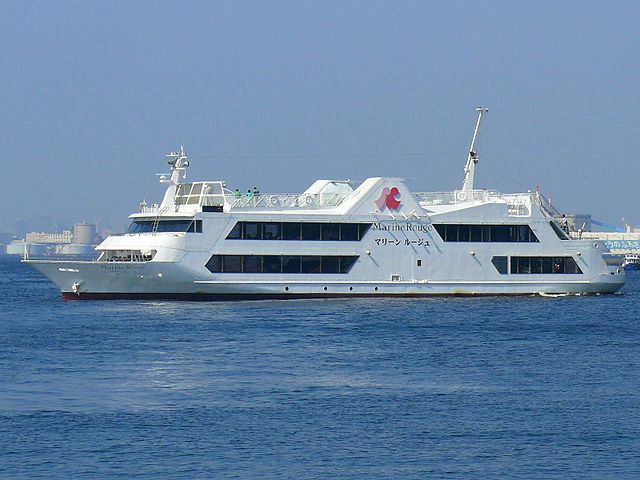 ​Marine Rouge is a restaurant ship, meaning a cruise ship mainly made for its restaurant cruise service. There are four dining spaces, and some observatory spaces. It is also possible to ride the ship without eating. From Yokohama Bay Quarter – 10 minutes’ walk from Yokohama Station’s East Exit. 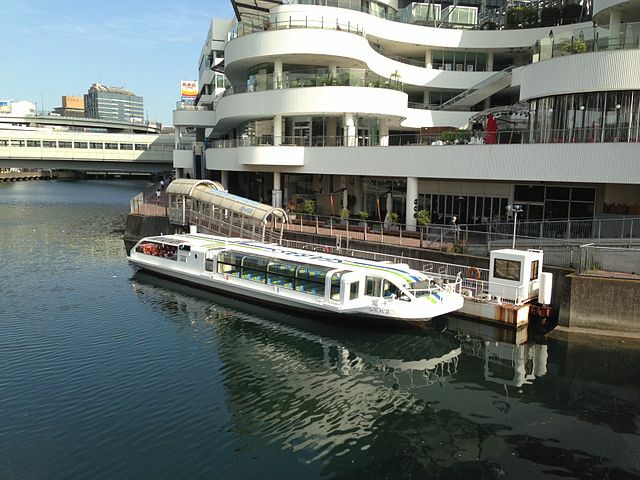 From Minatomirai 21 Pukari Sanbashi – 7 minutes’ walk from Minatomirai Station. From Red Bricks Warehouse - 10 minutes’ walk from Bashamichi Station. From Yamashita Park - 10 minutes’ walk from Motomachi-Chukagai Station.